The fates of India and Israel have been intertwined since they gained independence less than nine months apart. Now, thanks to both the culmination of long-term trends and the camaraderie of the countries’ current leaders, their alliance is going from strength to strength. When Indian Prime Minister Narendra Modi steps out onto the red carpet-covered tarmac at Ben-Gurion Airport early next year, his arrival in Israel will mark 25 years of full diplomatic relations between the two nations. Although the precise date of Modi’s visit has yet to be finalized, the first-ever official visit to Israel by a sitting Indian prime minister will testify to the dramatic changes that the Indo-Israeli relationship has undergone since diplomatic normalization occurred in 1992. In understanding these changes, it is essential to recognize that the improvement in Indo-Israeli relations has been consistent under several Indian governments, but has accelerated under governments run by the right-wing Hindu nationalist Bharatiya Janata Party (BJP), which governed from 1998-2004 and returned to power under Modi in 2014. Under the first BJP government, bilateral trade between India and Israel tripled from $675 million in 1998 to $2.1 billion in 2004. Although economic engagement would continue under the Indian National Congress (INC) government led by Manmohan Singh from 2004-2014, it would also be characterized by an absence of high-visibility visits to Israel by top Indian officials and a continuation of India’s hostile voting pattern against Israel at the United Nations. While visits from high-ranking political delegations have been rare, the development of strong bilateral economic, diplomatic, and security ties has not been affected by their absence. But Modi’s visit to Israel is unlikely to be a mere a photo-op; it signals a deep and profound evolution of Indian foreign policy and will usher in a wholly new era of engagement between India and Israel. The Indo-Israeli relationship looked very different during the 20th century. Since its recognition of Israel in 1950, India has attempted to maintain a delicate balance vis-à-vis Israel, the Palestinians, and the broader Arab and Muslim world. For much of this period, Indian foreign policy was characterized by a pro-Arab stance. As a result, full diplomatic relations with Israel would not be established for four decades. Instead, the Indo-Israeli relationship would become characterized by what the Indian academic P.R. Kumaraswamy has described as “non-relations.” Despite Israeli military aid to India during its conflicts with China in 1962 and Pakistan in 1965, India continued to deepen its pro-Arab stance and demonstrated increasing hostility toward Israel. This process accelerated with the election of Indira Gandhi in 1966. Her government was dependent on small parties, notably communists, which were highly critical of Israel. Partly as a result, by the 1970s, Indian support for the Palestinian cause solidified, and correspondingly, its relationship with Israel worsened. After the Arab League recognized the Palestinian Liberation Organization as the “sole and legitimate” representative of the Palestinians in 1974, India quickly followed suit and permitted the PLO to open an independent office in New Delhi that was elevated to embassy status in 1980. Ultimately, it was under the leadership of Prime Minister Narasimha Rao that India established full diplomatic relations with Israel in 1992. Given prior Indian hostility or indifference toward Israel, diplomatic normalization was a major shift in Indian foreign policy toward the Middle East. The end of the Cold War and the initiation of the Oslo peace process afforded New Delhi the opportunity to recalibrate its engagement with both Israel and the Palestinians. Normalization allowed for increased economic, cultural, and security cooperation between Israel and India, while still allowing it to advocate on behalf of the Palestinians. Today, the Indo-Israeli relationship appears to be a success story. Bilateral, non-defense trade between the two countries has averaged $4.6 billion per annum over the last five years. Although discussions over a free trade agreement have been ongoing since 2007, then-Economy Minister Naftali Bennett estimated in 2013 that the deal (if signed) could double bilateral trade to $10 billion in the next five years. In 2015, Israeli Economy Ministry Director-General Amit Lang explained that the long delay in signing the agreement was because the Indian government was apprehensive about its impact on local industry, as well as economic concerns about such agreements in general. 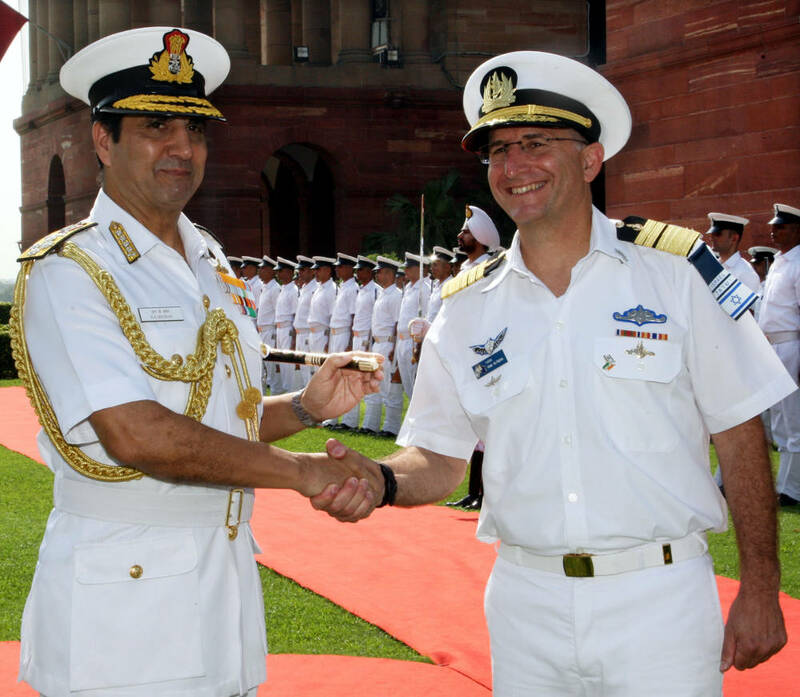 Trade aside, the primary link between India and Israel has been defense cooperation. When the Soviet Union collapsed, India found itself with outdated military hardware and equipment that were unsuitable for combat. At the same time, the Israeli defense industry had focused its attention on developing electronic subsystem upgrades to improve the capabilities and extend the life cycle of military platforms such as planes, ships, and tanks. It was a perfect match. By 2012, the defense relationship between India and Israel was estimated to be worth approximately $9 billion, with military hardware sales from Israel to India amounting to $1 billion annually. 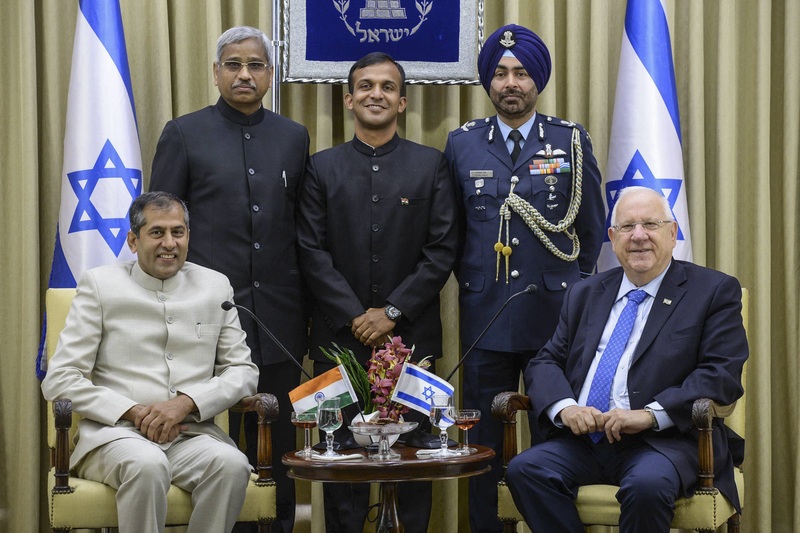 Recent reports have indicated that the Indian Cabinet Committee on Security will soon approve a $3 billion military equipment procurement deal with Israel that will focus on missile technologies. Citing Indian defense military sources, The Times of India reported that this deal will cement Israel’s position as one of the top three arms suppliers to India. Despite strong economic and defense ties, however, New Delhi has “consciously sought to downplay the extent of its defense ties with Israel, citing national security reasons and minimization of domestic political opposition,” Samuel Rajiv, a senior fellow at the Institute for Defense Studies and Analyses, pointed out. After the BJP lost power in 2004, there were concerns that the INC-led United Progressive Alliance (UPA) might roll back some of the diplomatic gains. These fears proved largely unfounded: The UPA government deepened and broadened India’s relationship with Israel. Kumaraswamy explained that this occurred because of an important ideological shift in India regarding its diplomatic balancing act vis-à-vis Israel and the Palestinian Authority. The Oslo agreements enabled India to normalize ties with Israel, but starting in 2004, the UPA quietly started to disconnect India’s foreign policy calculations towards Israel from the vagaries of the peace process. Consequently, the enthusiastic reaction from Israeli Prime Minister Benjamin Netanyahu upon learning that Narendra Modi and the BJP had won the 2014 elections indicates their victory’s significance for Israel. Not only did Modi already have a long-standing economic relationship with the Jewish state during his tenure as chief minister of Gujarat province, but the BJP and its leadership have also had a long history of voicing support for Israel. Thus, Israeli officials were somewhat taken aback when the Modi administration supported a resolution at the UN Human Rights Council that condemned Israel for its military activities during Operation Protective Edge. This decision was perplexing because of the expectation that the Indian government under Modi and the BJP would be more even-handed in its approach toward Israel in international forums. 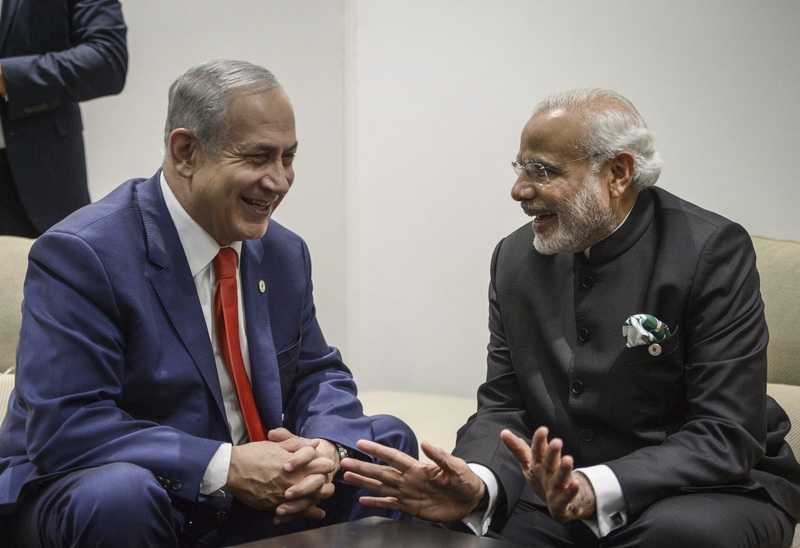 Despite such progress, Ronak D. Desai wondered in a recent article for Foreign Policy whether the rekindled relationship between Israel and India under the Modi administration is truly indicative of a fundamental alteration in Indian foreign policy. There are two important indicators in regard to this question: First, there is Modi’s upcoming visit to Israel. Such visits have often had a momentous impact. Nixon’s visit to China in 1972 fundamentally altered the political dynamics of the Cold War. As the first Arab leader to visit Israel, Anwar Sadat’s 1977 arrival paved the way for the peace treaty that Egypt and Israel would sign two years later. Second, the recent change in India’s voting pattern at the UN, from its prior auto-pilot anti-Israel stance to one where it has now abstained three times on Israel-related votes, has already been heralded by Jerusalem as reflecting a “qualitative change in the [Indo-Israeli] relationship.” Throw in the personal chemistry between Netanyahu and Modi (reflected in their repeated tweets to each other), and what emerges is not only a repeat of the previous BJP government’s policies, but something much more potent. Modi’s anticipated visit to Israel represents a historic opportunity to accomplish two interconnected foreign policy objectives. India will demonstrate to its Arab partners that a new era of Indo-Israeli relations is underway. And by establishing a new diplomatic status quo, Modi and the BJP will make it very challenging for the INC or any other political party to reverse it. Thus, in the debate raised by Desai over whether the recently rekindled Indo-Israeli relationship is more stylistic than substantive in nature, all signs point toward the latter.